Bye-bye 2nd gen Maruti Swift; 10 modified examples to send off this legend! Maruti Swift has been around for a long time now. The Swift was first introduced in 2005, which became massively popular. The second generation of the vehicle was launched in 2011. Now, the production of the current generation Swift has come to an end and it will be soon replaced by an all-new Swift soon. Here are ten modified examples based on the current and previous generation Maruti Swift in India. The scissor doors are made famous by the Lamborghinis and other high-end sports cars. However, they look equally cool on a Swift. Here is an example of Maruti Swift with scissor doors. The red-hot Swift gets many other additions too. The grille has been replaced with a new one and the whole vehicle gets an aftermarket body kit, which makes quite bulky. The vehicle also gets air suspension set-up that allows the vehicle to go up or down depending on the road conditions. 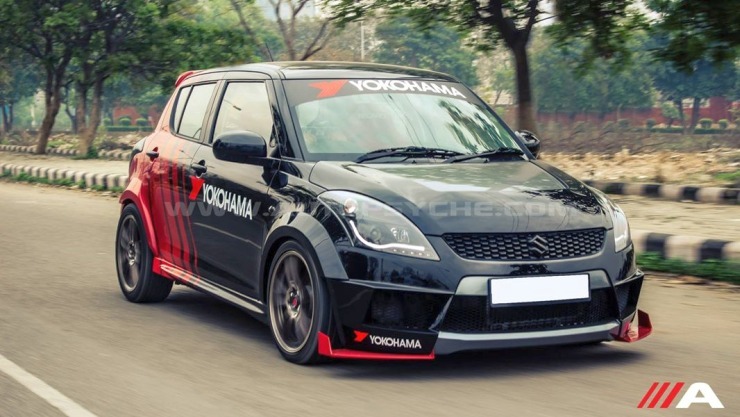 The slick-looking Maruti Swift has been modified to add glamour. The vehicle gets aftermarket lamps with 3D separators. The vehicle also gets a roof-mounted rear spoiler and a manual sunroof. 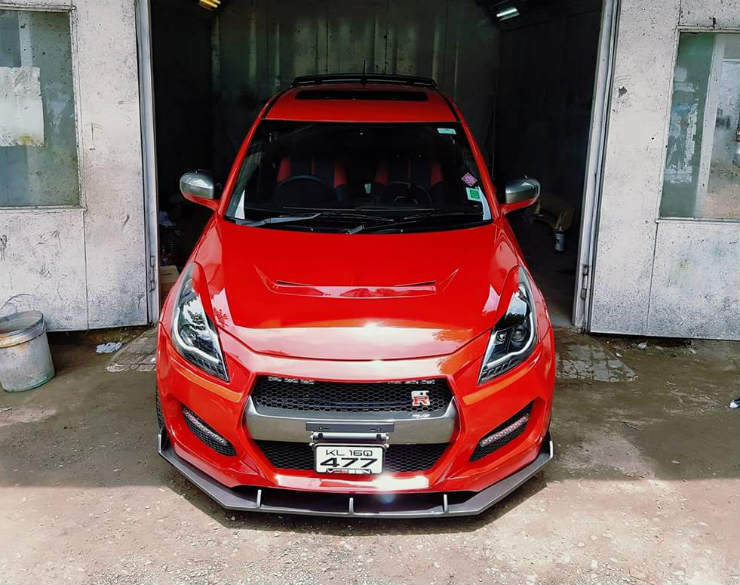 The owner has also added body kit that includes a more aggressive front bumper. The wheels have been upgraded with an aftermarket set with low profile tyres. The Swift came with various common colours but many owners opt for aftermarket wraps to make their vehicles distinctive. Here is an example that is done by Knight Automotive. The vehicle gets the matte purple body wrap. To make it stand out from the crowd, the vehicle also gets custom air scoop on the hood, custom headlamps and customised front and rear bumpers. The vehicle also gets custom fog lamp shrouds. This is India’s one of the wildest looking Swifts inspired by the Punisher character. The vehicle gets wide body kit all around with a new customised front grille. The bumper gets a pair of winglets that adds a scary look to the vehicle. There are projector lamps with LED strips acting as DRLs. The vehicle gets chunkier wheel arches with wide 17-inch, 215 cross-section tyres from Yokohama. The suspension has been upgraded to Bilstein B14 Coilover system that makes the handling much better. This modified example from MP gets functional changes that make it quite a looker. The vehicle gets race dynamics tuning box, triple S lowering springs, BMC intake filter, RS body kit. There are aftermarket 17-inch rims and aftermarket projector headlamps too. The blue colour makes it quite highlighted. Yes, both Nissan and Suzuki share the same motherland but the Swift is nowhere near the Nissan’s flagship, the GT-R. This modified example shows a Swift modified into GT-R and the modifications have been done by Caddy Crewz’s Customs. The vehicle gets GT-R inspired front grille, customised front fenders, side skirts and 17-inch alloy wheels. At the rear, the vehicle gets quad exhausts and a new wider, sportier bumper. There is a roof-mounted spoiler too and new headlamps and tail lamps too. This modified example by Autopsyche gets many visual updates. There is full body Yokohama decals that give it a dual colour effect. It also gets body kit that includes new front and rear bumpers, an extended front and rear fender arches and rear rooftop spoiler. Other functional changes include projector headlamps, LED tail lamps, lowering springs, Bilstein B6 sports suspension and a free flow exhaust. 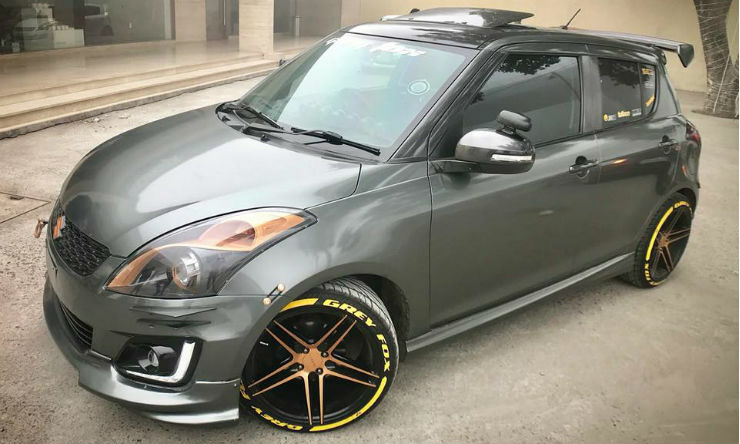 This lowered example of the Maruti Swift looks extremely good. It gets aftermarket projector headlamps, 17-inch 10J rims and Autofab Coilover kit that makes it lower. The vehicle new winglets on the bumper giving it a brawny look. Abarth is the high-performance arm of Fiat. To add a sporty look to the Swift, an Abarth sticker job has been added to it. 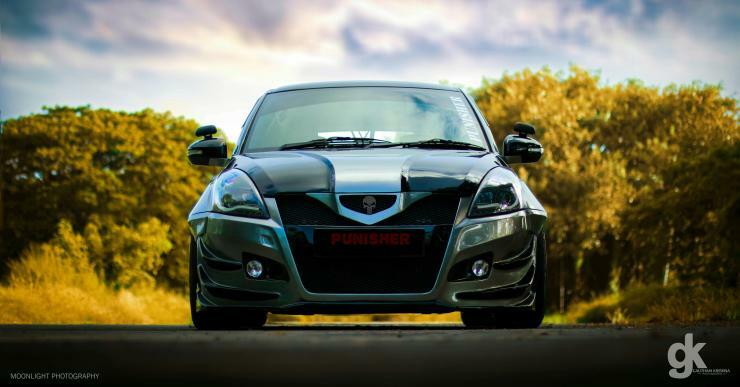 This Swift gets an Abarth makeover with a full body sticker job. The custom job is based on the Swift Deca edition, which is a limited edition from Maruti and adds a unique colour theme to the interiors and exterior. On the outside, the car gets a body kit including a front spoiler, rear spoiler and side skirts. All the additions get high gloss red finish. It also gets body coloured scoops on the hood. It also gets a roof-mounted rear spoiler that adds to the overall sportiness of the vehicle. The red and white theme makes the Swift look quite interesting. The body gets an Abarth Punto inspired sticker job too. 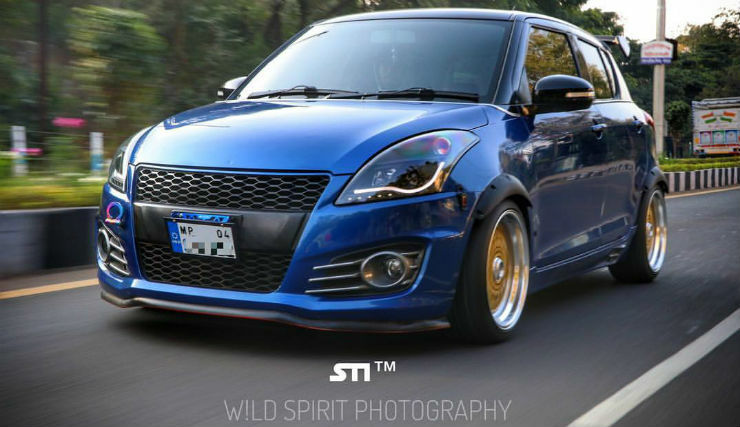 This Swift in blue looks amazing with the limited additions to it. The car gets deep dish alloy wheels, aftermarket grille that gives a sense that the grille has become larger. There multiple winglets on the aftermarket front bumper that adds to the aggressive look of the vehicle. The fog lamp gets angel eyes outline too. Apart from that, everything else remain stock.